Volunteers clear brush from a community garden in the Jeff-Vander-Lou neighborhood. At a community garden half a mile north of Powell Hall, Marcia Martin spent Saturday dragging branch trimmings into piles to clear out the greenery that had overrun the garden. Martin and her husband were joined by about a dozen other volunteers working on the lot at the corner of Montgomery and Coleman in the Jeff-Vander-Lou neighborhood. Around the corner, five men from Holland Construction Services boarded up the windows of an empty building and used chain saws to cut down the thicket of trees behind the house. 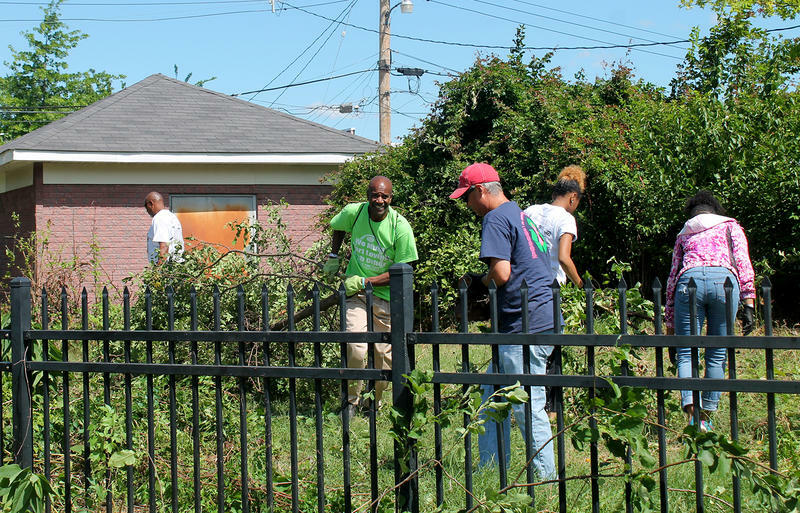 At other blocks throughout the neighborhood volunteers tackled similar projects on more than 70 lots, blocking the entrances to abandoned buildings, picking up trash, and cutting back overgrown greenery. Organizers estimate more than 400 people participated in the cleanup, which was spearheaded by Better Family Life, Habitat for Humanity St. Louis, the Jeff-Vander-Lou Housing Corp., and the Herbert Hoover Boys and Girls Club. The cleanup’s goal is to deter crime and make it safer to walk the streets. “If you are living next to a building that is vacant and it’s not boarded up, then there has the potential of illegal activity coming in and out. And then if it’s also surrounded by overgrowth and trees, then you can’t really see if somebody is behind it,” said Avis McHugh, family services director for Habitat for Humanity St. Louis. 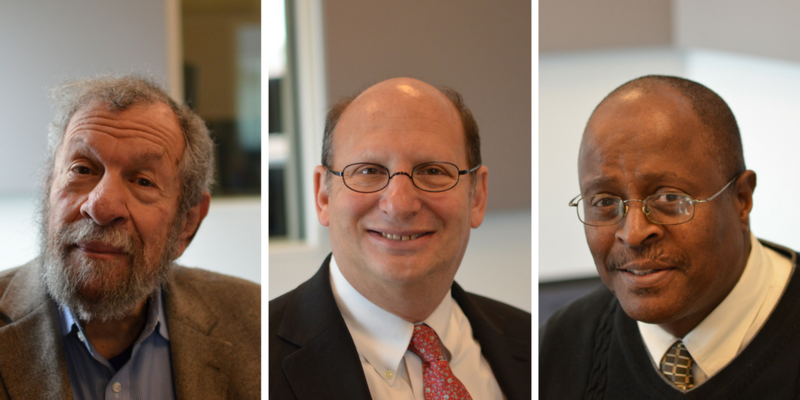 “Jeff-Vander-Lou is one of the strongest, and most solid African-American communities in the St. Louis area, and has been for generations. So the history here is rich, the potential of what the neighborhood can be is amazing. And we just kind of want to get it back to what it was,” McHugh said, adding that plans are under way to clean up other neighborhoods too. 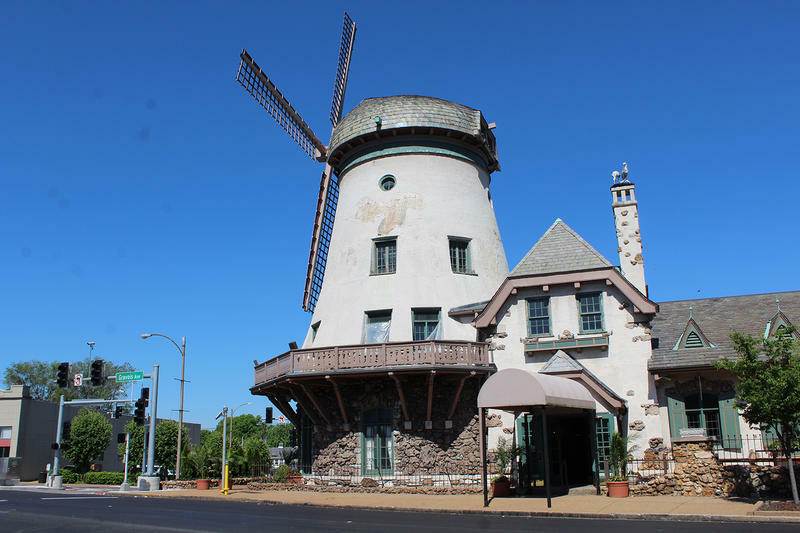 The Bevo Mill neighborhood’s namesake restaurant is open once more in south St. Louis. The grand opening Sunday of the rebranded “Das Bevo” attracted a line of customers eager to see the newly renovated part of St. Louis history. What are St. Louis’ ‘middle neighborhoods’ and how can they be stopped from falling into distress? There are neighborhoods in St. Louis that are thriving and those that are very much struggling, but what about neighborhoods that fall somewhere in the middle? 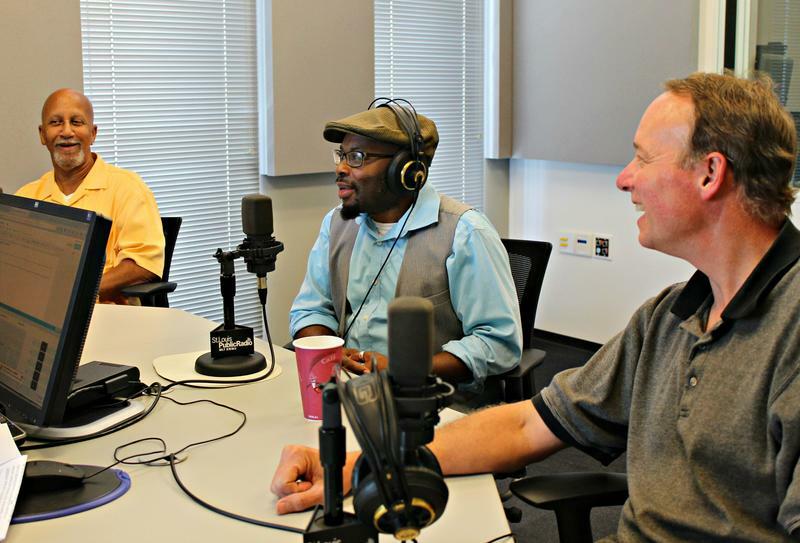 On Thursday’s St. Louis on the Air, we discussed the idea of "middle neighborhoods," which comes from a recent research study called "On the Edge: America's Middle Neighborhoods," published by American Assembly. Crumbling homes, missing bricks, dangerous streets, and crushing poverty — these details make up the overwhelming narrative of north St. Louis often offered by national media, local media and popular perception. But Dan Lovings, a longtime St. Louis resident, moved to north St. Louis with the intention of owning and putting money into a house there. He meant to build a good home, increase property values, and join and contribute to the neighborhood. But to do so, he found, would require some individual initiative. St. Louis' homicide level remained unchanged in 2016 compared with the previous year — 188. At the same time, aggravated assaults and other violent crimes were up and property crime was down, according to the latest crime statistics. 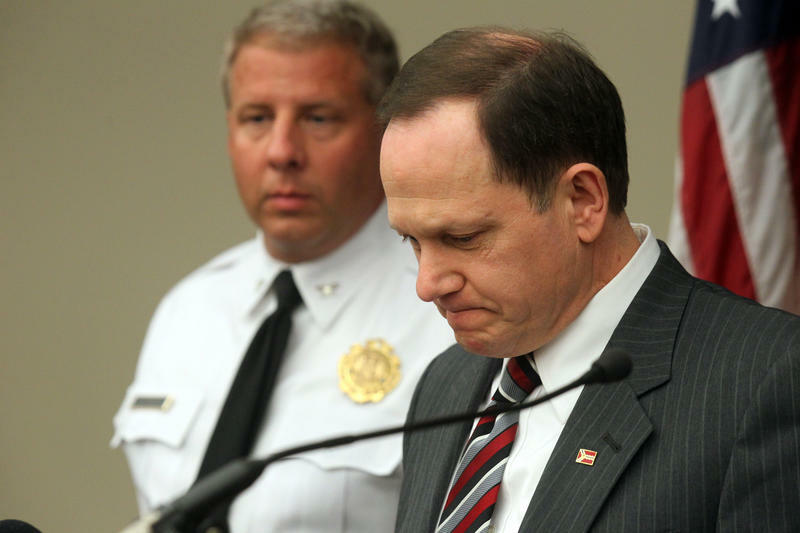 St. Louis' mayor and police chief on Tuesday touted an overall crime reduction of 4.1 percent, or 1,072 fewer incidents, in the last year. Compared to the peak crime year of 1993 when the city experienced 173 crimes per 1,000 people, last year saw 79 crimes per 1,000 residents.